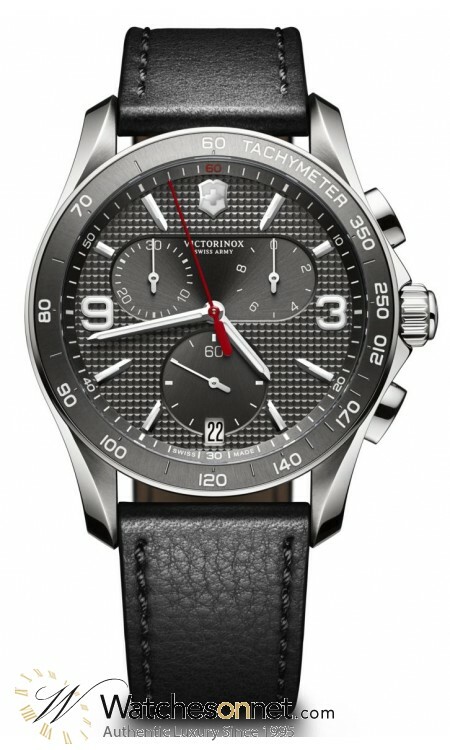 New 100% Authentic Victorinox Swiss Army Classic Men's Watch, Model Number 241657 features Chronograph Quartz Movement. Made from PVD Black Steel, This Watch has a Black dial and fitted with a Leather bracelet. 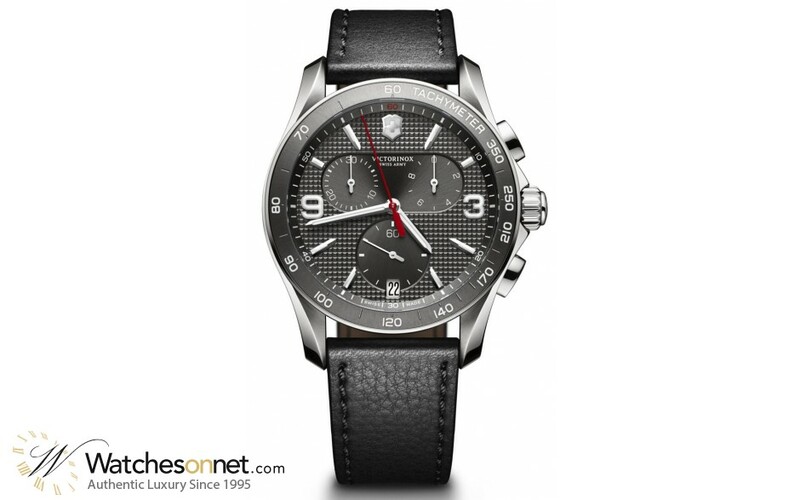 Victorinox Swiss Army Classic collection Men's Watch, Model Number 241657 features Chronograph Quartz Movement. Made from PVD Black Steel, the bezel is made from PVD Black Steel this Watch features a Scratch-Resistant Sapphire crystal, and has a Black dial, its Leather bracelet is adjustable from 8 in (20.3 cm), the clasp is a Pin & Buckle type and is covered under warranty for 2 Years.